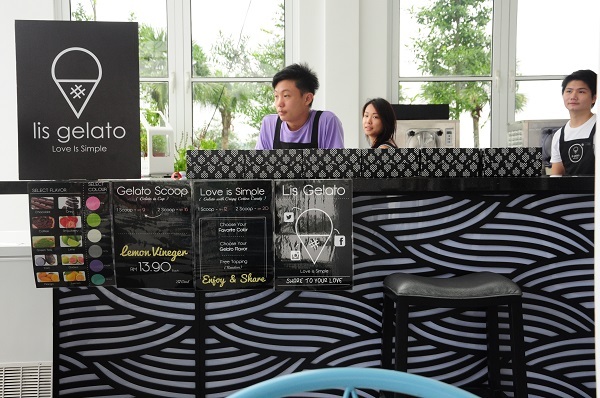 Other than chocolate, oreo and matcha, gelato available are most fruity flavours. 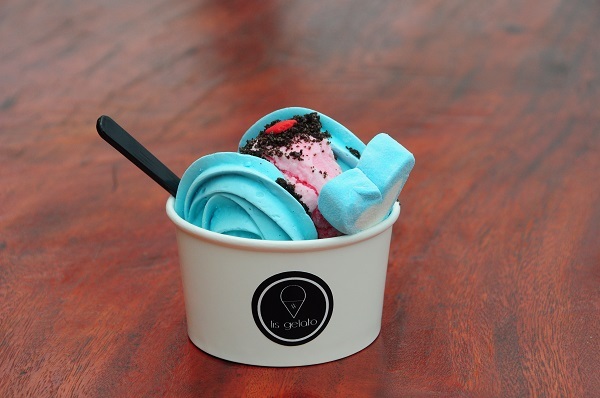 We opted for the “Love is simple – RM12 ~SGD 4” – basically gelato sandwiched between two crispy cotton candy, appearance likened to that of a gelato macaron. Taste wise, the cotton candy has a cookie-like texture that was too hard and sweet for my liking. The gelato was icy instead of creamy and perhaps, need more fine-tuning. The bright striking colours of the cotton candy definitely scores high on the visual aesthetic scale, even more so in the garden paradise setting of EcoSpring. 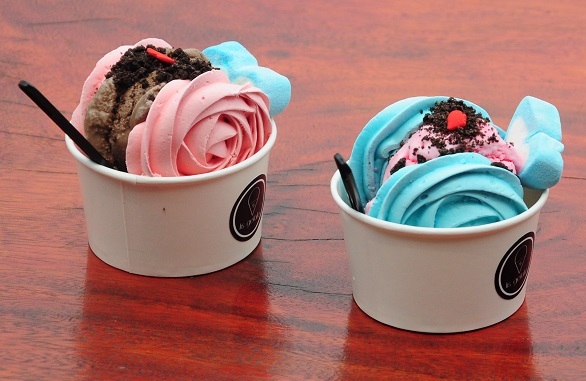 Very sweee (pretty) lah! 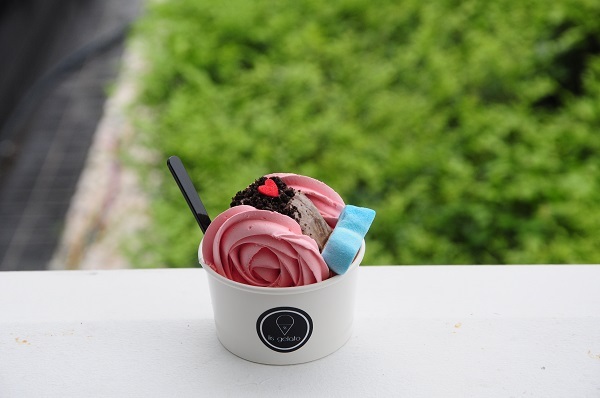 Stay tuned for more of our JB foodtrail in the upcoming posts!